Can you believe that this gorgeous scarf is only two hours of work? 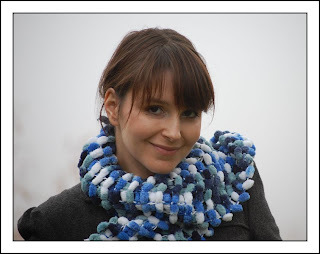 Made of pompom acrylic wool, it’s so soft and fluffy I’d like to wear it all day long. The colour combination is really nice and is available in many more colours (greens, pinks, turquoises …..) . By the way, if you like it, you can buy it here!